A collection of music long ago played, and now remembered. Long before MP3's, CDs, Vinyl and even Edison's Phonograph, an evening's musical entertainment often involved singing songs around a piano in the family's parlor. Family and friends would gather to play and sing songs of their day from printed sheet music. Many of the songs dropped out of popularity as newer songs were printed and sung. Eventually, the old sheet music was set aside and forgotten. AntiqueMusic.net is bringing some of those songs back from obscurity. 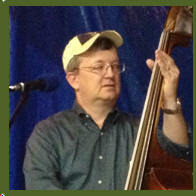 James (or JP to friends) is a member of the Celtic band Dileab Phriseil. He has been singing since a very young age. His love of music was apparently passed down through the generations as chronicled in the historic journals of his ancestors. 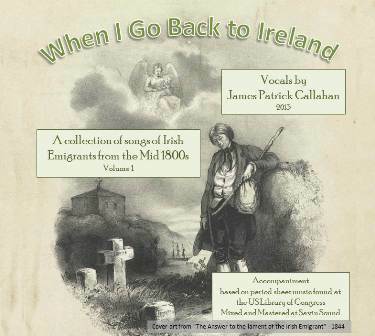 Now, his inherited melodic Irish tenor voice brings these antique songs to life. These projects have enabled him to combine three of his favorite pastimes; Genealogy, Music and Computers. In the Summer of 2013, I re-read the journals of Lucy Hamilton Stevens Kerr, my great-great grand mother. In these journals, Lucy chronicled the early years of her marriage to newly elected US Congressman, the Honorable John Bozman Kerr. She mentioned that her voice was one of the qualities that her husband admired. She would also, from time to time, mention playing piano and singing for him and the company they kept. In reading the journals, I ran across the titles of some songs and went in search of what they sounded like. But to no avail. However, at the US Library of Congress website, I was able to find copies of sheet music she likely played and sang from. I also found a treasure trove of other sheet music that also likely hadn’t been played or sung in many years. - James Callahan, Oct 2013. Lamenting the life on the ‘Ould Sod’ and those we loved. Songs of affection, grief, and unrequited love from the 1800's. A collection of 15 songs (plus a bonus track). These are a variety of songs of Irish National Pride, appreciation for America and affection for those left behind. Arrangements and sheet music were found at the US Library of Congress website. Search for 'Irish National'. A fun, up beat love song by Henry Watson from 1849. Preview the Free Holiday Downloads! Originally released as free downloads in 2013, we'll make an album of these and others. 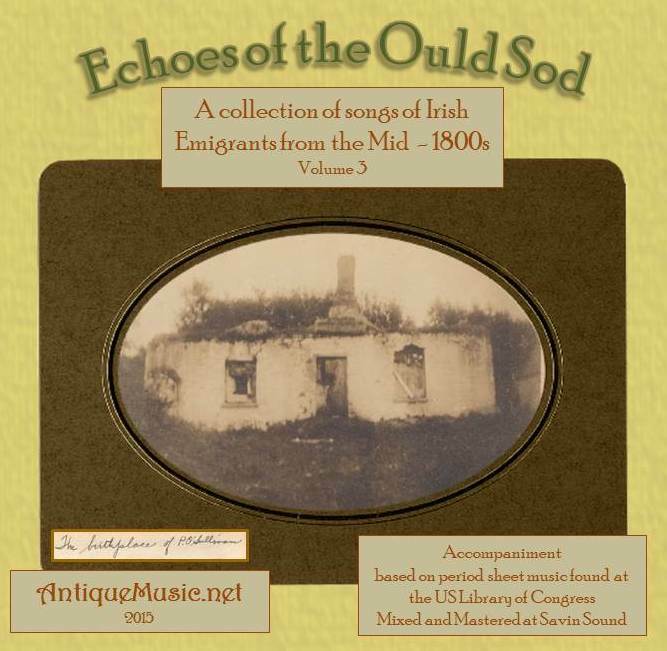 Music of Polish Emigrants of the Mid 1800's. Have an idea that would fit into this genre? Send me a note and we can discuss options and/or opportunities.